Winnebago truly is “Everything A Motorhome Should Be.”In 1966 the first motorhome rolled off the Winnebago industries assembly line. Needless to say they have not looked back since. Winnebago is one of the most recognizable brands in the R.V. industry. For more than 50 years Winnebago has been the standard of excellence in quality and innovation. 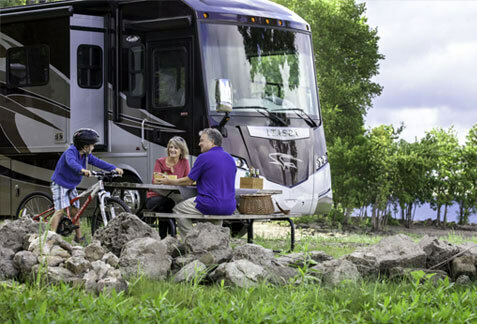 Some of the most trusted brands in the the RV industry are made by Winnebago. These include the Tour, Journey, Adventurer, Via, Vista, Sightseer, View, View Profile, Access Premier, the Minnie Winnie, and more.